Milind Ekbote, a leader of the Samastha Hindu Aaghaadi, has been missing since he was accused of inciting the violence over a Dalit rally near Pune. 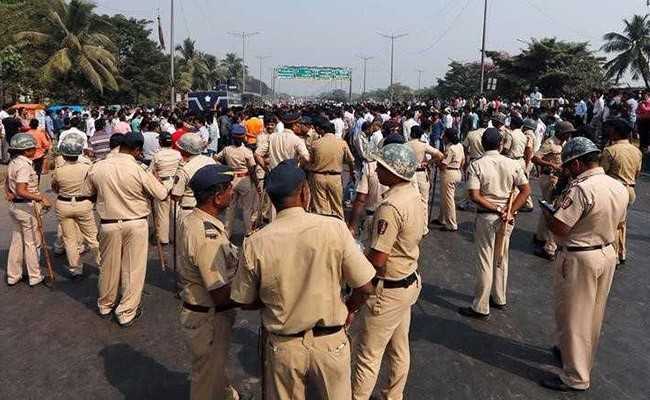 Milind Ekbote is accused in an FIR for inciting violence at Bhima-Koregaon near Pune. 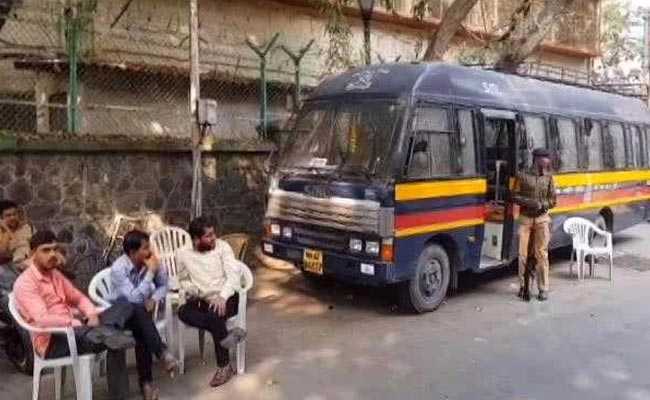 Pune: Milind Ekbote, one of the two Hindutva activists accused in an FIR for inciting violence at Bhima-Koregaon near Pune this last week has gone underground, leaving his elder brother Dr Gajanan Ekbote, to field all questions. A prominent surgeon in Pune, Gajanan Ekbote speaks to us from his sprawling clinic with the backdrop of a massive poster of Bharat Mata as Durga. He begins with a lengthy introduction of the posts he holds - Chairman of the Progressive Education Society which has 62 colleges under it with 60,000 students enrolled; Member, Savitri Bai Phule University; Pro VC Maharasthra University of Health Sciences and others. His wife Jyotsna Ekbote is a BJP corporator from Pune and scribbles notes to him on what he should say during the interview. "My brother, Milind is innocent. He was getting anonymous death threats since January 1st so the police told us to keep him away from Pune and from the public that is why you can't meet him right now. 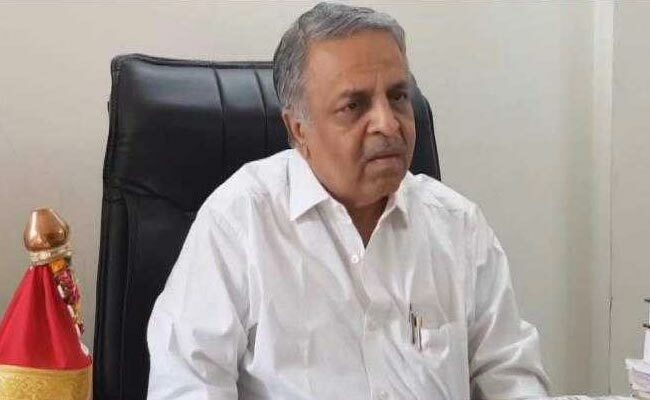 When the police gives us the green signal, we will bring him back and he will face the electronic and print media," Gajanan says before adding that the police has been very helpful. Gajanan Ekbote says his brother has been getting anonymous death threats since January 1st. The police, according to Dr Ekbote, has not questioned his brother or started any investigations on the FIR. "There's no question of investigating him as he's innocent and being wrongly framed. In fact, we have shared evidence with the police and the ATS which reveals that the violence was caused by Naxal, Maoist groups," he says. Dr Ekbote has a detailed account of what happened to trigger the violence: "Five kilometres from the Bhima-Koregaon memorial is a place called Sanaswadi. It's a Naxal hub. For months the Naxalites have been planning this by gathering arms from across the state. They also stocked saffron flags and when the Dalits started gathering, they came out to attack, chanting 'Jai Shivji' and 'Jai Milind Ekbote', with the single focus of framing my brother. They attacked local shops, they were all outsiders. The police is now investigating this," he says. Despite repeated attempts to contact the Police Commissioner, Pune, the Additional DCP and Pune Rural SP, none were willing to speak on the issue. Violence erupted in Pune on January 1 when Dalit groups were celebrating Koregaon battle anniversary. The role of the Police so far has angered many Dalit activists who call it a mockery of any real attempt to seek justice. "The police should be investigating the two named in the FIR. Instead they are targeting Dalit youth, doing combing operations across Maharashtra to pick up young Dalit men, accusing them of perpetrating violence on the streets," says Nitish Nawsagaray, member of the Dalit Adivasi Adhikar Manch and faculty at the IL Law College Pune, known for his work on cases of Dalit atrocities. Dalit groups have been demanding action against both Milind Ekbote and Manohar Bhide, better known as Shambhai Bhide, the 86-year-old Hindutva leader also named in the FIR. "Shambhaji Bhide or Guruji is like a guru to my brother Milind," Dr Ekbote says. "Milind is inspired by the teachings of Guruji. To accuse an old saintly man of violence is horrifying." Dr Ekbote also claims the FIR is a conspiracy to malign Hindu leaders and the BJP. "These people want to paint BJP, Modi and Fadnavis as anti-Dalit but it will not work. Prakash Ambedkar is also accusing Milind so I have asked him to take it back or face defamation charges from me. We have worked for all Hindus which is why Milind Ekbote's organisation is called Samashta Hindu Aaghadhi which means it includes all castes," he says. The office of the Samastha Hindu Aaghaadi in Pune's Shivaji Nagar is in the same compound as a small hospital run by Dr Ekbote, their joint residence and a cramped gaushala. Hindutva imagery engulfs the place - saffron flags, BJP flags, posters calling for the reconstruction of temples, images of Gods and Goddesses and banners of Shambhaji. A large police force has been stationed outside for protection. Milind Ekbote may be absent but his followers stream in through the day in a show of strength and solidarity to their leader. Pratik Mohite, secretary of the Samastha Hindu Aagadhi declares emphatically that they will not take any more slurs on their leader lying down and will take any "necessary action" to exonerate him. "Action" is familiar to this group. Milind Ekbote was in the headlines a few years ago for disrupting Valentine's Day celebrations in Pune city. Their easy defence of that violence is revealing "Milind Ekbote embodies Indian culture. If there is an attack on our culture, the Samastha Hindu Aagadhi will retaliate."